Unlimited Elements for Elementor Page Builder will take your website to the next level. All addons are totally unique, crafted individually to fit your Elementor Page Builder website. 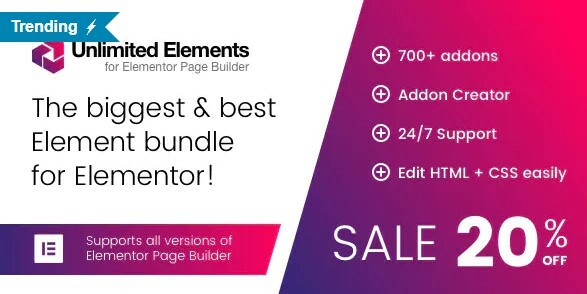 The biggest Addon bundle for Elementor Page Builder with +700 addons.